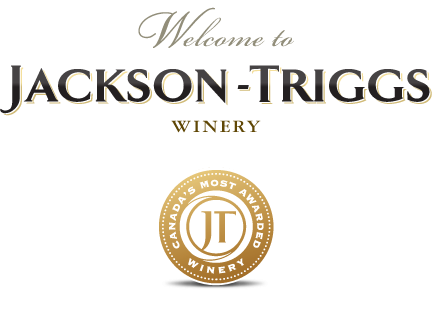 Welcome to the JACKSON-TRIGGS website. Your use of this Website constitutes acceptance of the following Terms & Conditions. Constellation Brands Canada, Inc. and its JACKSON-TRIGGS brand maintain this website for your personal information and education. The trademarks, service marks, brand identities, titles, characters, trade names, graphics, designs, copyrights and other properties appearing within this website are protected Intellectual Properties used by Constellation Brands Canada, Inc. and its JACKSON-TRIGGS brand. These properties may not be copied, reproduced, republished, uploaded, posted, transmitted or distributed in any way without the Constellation Brands Canada, Inc. and its JACKSON-TRIGGS brand‘s prior written consent. Nothing contained herein shall be construed as conferring any license or right under any copyright or other Intellectual Property right. The trademarks, logos and service marks (collectively the "Trademarks") displayed on this website are registered trademarks of Constellation Brands Canada, Inc. and its JACKSON-TRIGGS brand. Nothing contained on the website should be construed as granting, by implication, or otherwise, any license or right to use any Trademark displayed on this Website without the written permission of Constellation Brands Canada, Inc. and its JACKSON-TRIGGS brand. Everything you see or read on the website is copyrighted unless otherwise noted and may not be used without the written permission of Constellation Brands Canada, Inc. and its JACKSON-TRIGGS brand. Images, photographs or illustrations displayed on the Website are either the property of, or used with permission by Constellation Brands Canada, Inc. and its JACKSON-TRIGGS brand. The use of these materials by you, or anyone else authorized by you, is prohibited without the prior written permission of Constellation Brands Canada, Inc. and its JACKSON-TRIGGS brand. Any unauthorized use of the images may violate copyright laws, trademark laws, the laws of privacy and publicity', and communications regulations and statutes. The material in this Website could include technical inaccuracies or other errors. Your use and browsing of the Website is at your risk. Neither Constellation Brands Canada, Inc. and its JACKSON-TRIGGS brand, nor any other party involved in creating, producing or delivering the website shall be liable for any direct, incidental, consequential, indirect or punitive damages arising out of your access to, or use of, the website. Constellation Brands Canada, Inc. and its JACKSON-TRIGGS brand does not warrant that the functional aspects of the website will be uninterrupted or error free, or that this website or the server that makes it available is free of viruses or other harmful components. Without limiting the foregoing, everything on the website is provided to you "AS IS" WITHOUT WARRANTY OF ANY KIND, EITHER EXPRESSED OR IMPLIED, INCLUDING, BUT NOT LIMITED TO, THE IMPLIED WARRANTIES OF MERCHANTABILITY, FITNESS FOR A PARTICULAR PURPOSE OR NON INFRINGEMENT. Please note that some jurisdictions may not allow the exclusion of implied warranties, so some of the above exclusions may not apply to you. Constellation Brands Canada, Inc. and its JACKSON-TRIGGS brand reserves the right to make changes to this website at any time without notice.